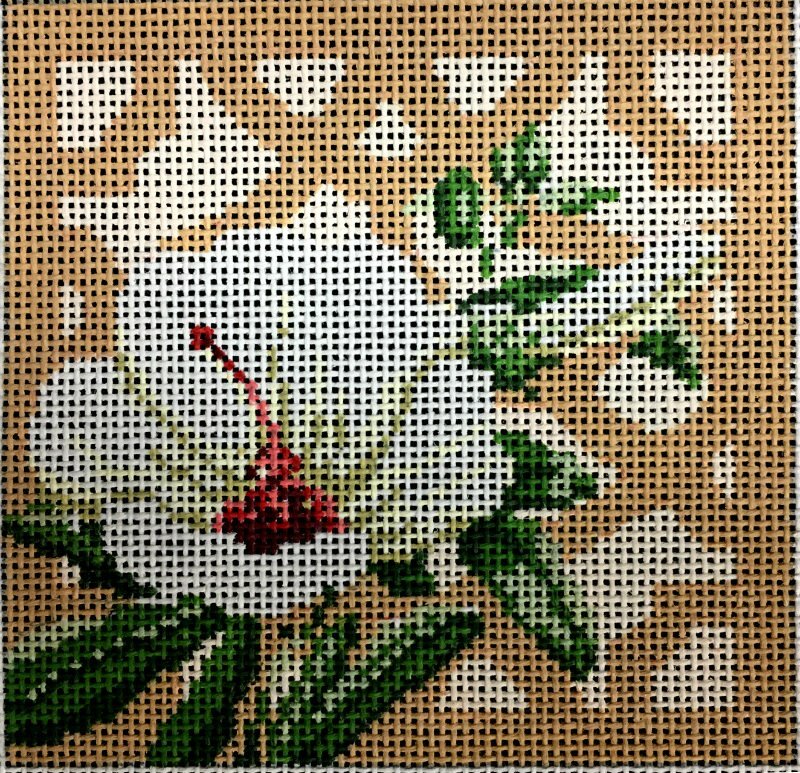 A hibiscus handpainted needlepoint canvas by Kirk and Bradley (KB1293) with a trellis background. Stitch it and make it into a coaster or frame it alongside others in the series. The elegant floral needlepoint design measures 4" x 4" on 18 mesh mono canvas. If you need threads make your choice from the drop down menu. The cotton is DMC cotton floss; wool is Bella Lusso (use double stranded) and the silk is Pepperpot (used single stranded). The design is stitch painted and is suitable for a beginner stitcher. If you want to mount the canvas onto stretcher bars while you stitch it then we recommend two pair or 8" stretcher bars and some thumb tacks. Sullivan's Heirloom Embroidery Scissors 4"